Swedish October Tide, the creation of Fredrik Norrman formerly of Katatonia, received little love on these pages. Before I was ever able to pipe in with my humble opinion, my colleagues were slamming earlier albums by the band with the labels of boredom and paint-by-numbers melodic doom. Not to say that Tunnel of No Light is pursuing an entirely different genre, I would very much want to “explain” the album the way I see it, and in a way offer a token redemption for the band’s earlier works. Although one can call October Tide a darker, harder edge Katatonia, two bands are definitely on a divergent course, especially as of late, with Katatonia drifting even more into rock territory, while October Tide unequivocally pursued melodic deathdoom with Tunnel of No Light. Throughout the album, the band alternates more aggressive, at times forcefully chugging, riffs and more lethargic dreamy sequences, where bass guitar is allowed to bubble to the surface and melodies become even more forefront. The way I see Tunnel of No Light – this is grief painted in the mind of experienced, somber and grown up men. As a result, it is less emotional, and can leave you dry-eyed, but this is some gloomy and reflective music, and I see nothing wrong with that. Sure enough, the riffs on the album are straight to the point, without much fluff, and without many surprises. When an experienced clothes designer comes up with a predictable silhouette we are still capable of recognizing and enjoying the fine details and the tailoring. In a same way, it is admirable how the band can massage the riff of Caught in Silence, come out with mournful riffs for the first 3 min of Emptiness Fulfilled before becoming somewhat morose, and provide the perfect combination of hard and soft in Our Constellation. The melodic weavings on the album are varied enough throughout the songs themselves that you do not notice that the average length is around 7 min. From the Opethian sense of drama to what sounds like a slowed down – dragged out Dark Tranquillity, songs like Our Constellation and In Hopeless Pursuit distill those melodies the best. October Tide is on its next vocalist on Tunnel of No Light, with Alexander Hogbom of Volturyon providing his deep chesty growls. Not superbly varied, but definitely powerful and convincing, the vocals on Tunnel of No Light fit the rest of the mold. Depressing gloom does not need much variation vocally, and the band can channel their inner Bach through atmospheric closing of Our Constellation or guitars sounding like funeral service bells at the end of the closer Adoring Ashes. It is true that just like the albums before Tunnel of No Light, October Tide tends to frontload the album. 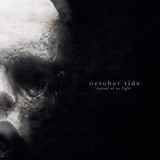 After excellent Our Constellation and Emptiness Fulfilled, The Day I Dissolved and Watching the Drowners dip somewhat, yet In Hopeless Pursuit and Adoring Ashes bring the mood back and close the album in a fulfilling fashion.